Use wet lokta paper and wallpaper paste to cover the cuts. This is very similar to applying band-aid to a cut on the skin. Do this on the inside and outside of the pumpkin. Be careful not to go over the masking tape. 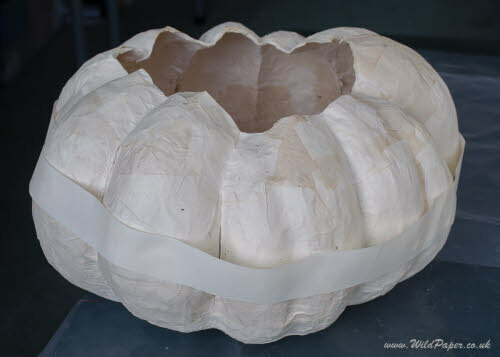 Remove all the masking tape and keep adding more layers until the bowl is strong enough.